Course fee for degree course is around 50 thousands for general and less for others . except general students, reserved category students gets monthly scholarships. At the times of admission, local SBI Bank branch came for education loans. Course fee per year is less than Rs10,000(INR) P.A. Students can avail any scholarship they are eligible to. Loans are not required as fees are too low. Central Institute of Technology (CIT), Kokrajhar is situated in Kokrajhar District of Bodoland Territorial Council (BTC) in Assam. CIT has been established for the basic objective of fulfilling the aspirations of the Bodo People relating to their cultural identity, language, education and overall economic development of the region and to impart Bodo youths with requisite technological and vocational training to produce the required manpower to give the impetus to economic growth of this area and to integrate the Bodo People into the mainstream of Technical and Vocational Education. 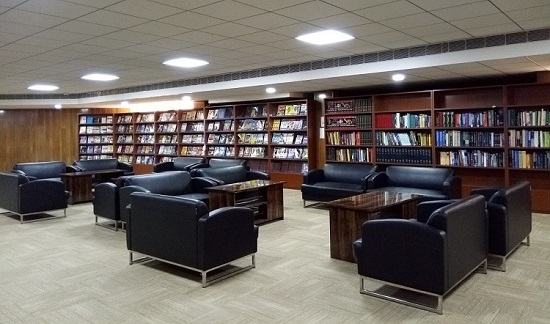 It is a Centrally Funded Institute under the Ministry of Human Resource Development, Government of India. The Institute was established on the 19th of December 2006. The genesis of this Institute was the memorandum of Settlement on Bodoland Territorial Council (BTC) signed between the Assam Government, the Union Government and the Bodo Liberation Tigers, on February 10, 2003, in New Delhi. The Institute is an autonomous body registered under the Societies Registration Act., 1860 and functions under a Board of Governors (BOG). CIT is mandated to impart Technical and Vocational Education such as Information Technology, Bio-Technology, Food Processing, Rural Industries, Business Management, etc. as part of the concerted efforts being made by the Government of India and the Government of Assam to fulfill the aspirations of the Bodo people. It is thus envisioned to acquire a unique place in the field of technical education in the country through its modular and innovative academic programmes. The first batch of students was admitted in Diploma Module in 2006. Currently CIT offers Diploma courses in Computer Science Engineering (CSE), Control and Instrumentation (CAI), Electronics and Communication Engineering (ECE) and Food Processing Technology (FPT), Construction Technology and Animation and Multimedia. The degree programme was started in CIT in 2009. At present the degree programmes offered by CIT are in Computer Science and Engineering, Electronics and Communication Engineering, Instrumentation Engineering, Food Processing Technology, Civil Engineering(Construction Technology) and Information Technology. Establish a world class Institute for education, career, technology and vocational training. To promote a two cycle modular degree structure with the objective to make students free from a single career path by enabling them to opt for alternatives at different stages of their study. Ensure access to education, training, knowledge and technology for promoting skills and innovations to all. Foster skills development with innovative teaching techniques and learning technologies such as e-business and e-learning. Address challenges in rapid shifts in the nature of demand for skills by emphasizing on research, development, commercialization and industrialization with necessary thrust to shift from traditional mass approaches to provide more customized training. To focus on Institute Industry partnership to implement innovative strategies to create new entrepreneurs, enterprises and industries with access to leading edge skills and on-the-job training. Empower the people to fulfill their aspirations by fostering know how in technology sp;and vocational training to produce skilled and trained manpower from the area by serving as a link between education, industry and economic self-reliance. To be a Centre of Excellence in Technical and Vocational Education. To build a high-tech campus with all infrastructure and the state-of-art facilities committed to facilitate and promote vocational skills and training. Impart innovative teaching, training and learning methodologies and implement target group-specific skills development programmes. To Foster Institute Industry participation to build synergies in entrepreneurship, market oriented programmes and employability of participants in technology-intensive enterprises. To Create a vibrant environment for education with an ethos for research and development. To Build a Green Campus by emphasizing on adopting energy efficient buildings, power from alternative energies, rainwater harvesting, showcase technology for energy conservation and address climate change issues. To Contribute to the socioeconomic development of the region. Create a unique brand name for itself in the field of technical and vocational education in the country. Why To Join Central Institute Of Technology, Assam ? Providing a variety of courses: The courses provided here give students a wide selection area. They can enroll in any of them which are trained by highly qualified faculties. Industrial Exposure: Internships and training facilities from organizations like NSIC, NFR BSNL, RTTC, Power Grid Corporation India Ltd., North Institute of Science and Technology, etc. How to Reach 7 km away from Kokrajhar Railway Station, 220 km from Guwahati and 271 from Siliguri which are facilitated by Air-Services. Bus and train routes are available from North-East-West-South of country to Kokrajhar.